Are you looking for a fun atmosphere to play Magic: The Gathering’s Modern format? 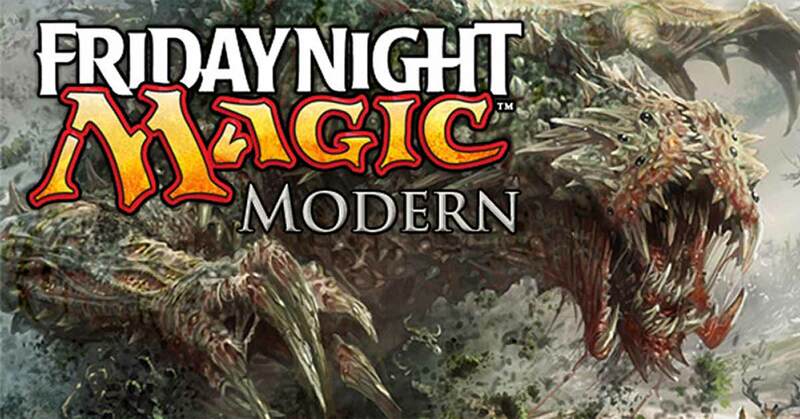 The modern format of MTG is one of the most played constructed formats in the game and East Coast Gaming, in Cary, has multiple Modern MTG events on a weekly basis, including a Friday Night Magic weekly event. These events range from casual play to competitive tournament play, though all players are welcome to play in any event, no matter what their skill level. Modern Magic was created in 2011 as a non-rotating set that allowed Magic players to use cards from sets starting from 8th edition forward. Your deck size must be a minimum of 60 cards and there is no maximum deck size. If you use a sideboard, it can have up to 15 cards. You are allowed no more than 4 of any card in your deck and sideboard combined, with the exception of basic (and snow-covered) lands. Unlike Legacy, Modern doesn’t include any cards on the reserved list which allows players of all skill levels to compete without needing access to the sometimes highly priced Legacy staples. 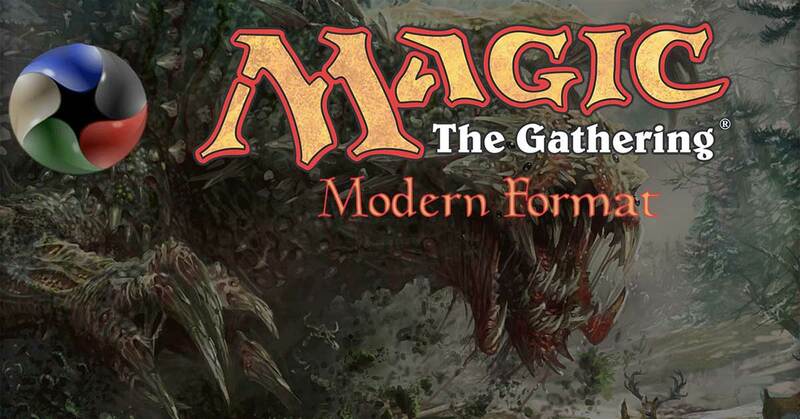 Unlike the Standard format Modern doesn’t rotate, which means players can use cards they’ve collected from sets that are no longer legal in the standard format. For a full set of rules, to see the banned card list, and to find out what sets are legal in Modern, please click the button below.